Having just completed one of the many EMP event scenario/nothing runs novels, I decided to delve into my John Deere tractor and Kubota UTX. Both are diesel powered. I perform my own maintenance and shop manuals are part of the negotiation package when buying new equipment. 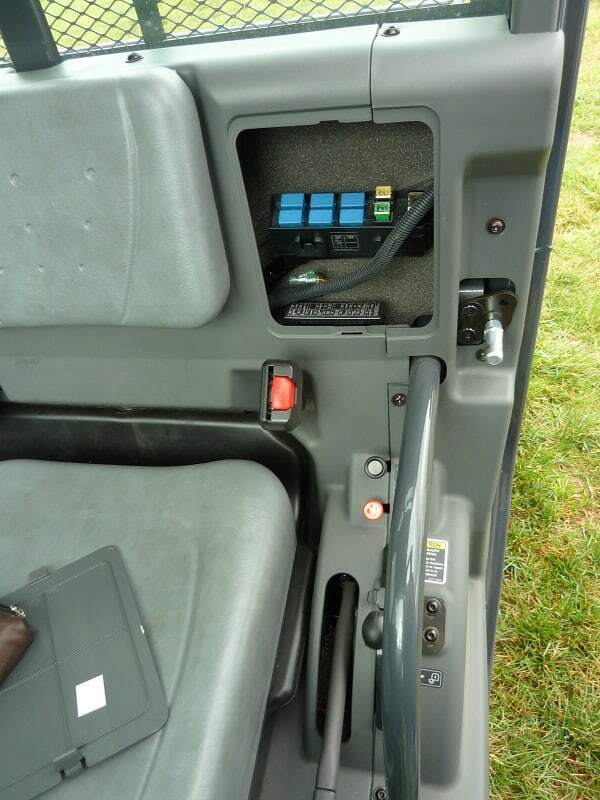 The maintenance manuals for the Kubota are very detailed and complete. I searched the electrical section in order to verify what the dealership told me regarding the lack of computerized engine control. I found a handful of relays (small rectangular boxes in the photo) control the engine and other vehicle functions. The voltage regulator resides inside the alternator, as do the rectification diodes. These assemblies are available separately from the complete alternator if desired. One other potential electrical weakness I found was the fuel stop solenoid. The dealership ordered a complete alternator, all relays, and a fuel stop solenoid for the UTX. These items I sealed in a .50 caliber ammunition box in the manner described in an earlier article. While I was at it, I asked for a fuel pump (engine driven, mechanical), fuel filters, alternator belt, a half dozen each of the oil and paired hydraulic fluid filters, cabin air filters, and engine air intake filter elements. 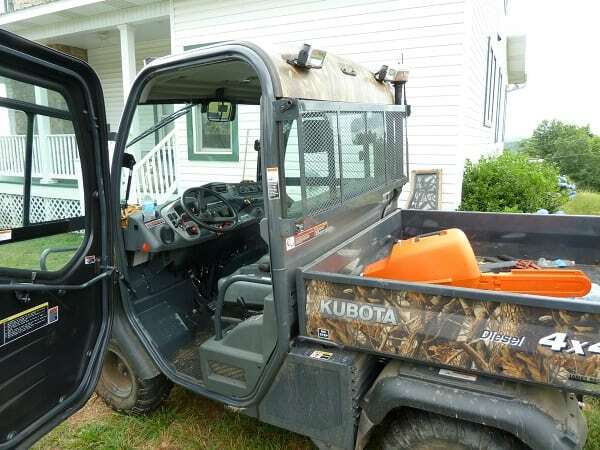 Like the John Deere tractor, the Kubota has nested cylindrical air filters that provide a safety measure for the engine should the outer filter become damaged. Electrical components for both vehicles with alternators being the most expensive individual component, and spare consumables (less fluids) for six oil changes and mechanical consumables such as fuel pumps altogether cost about a thousand dollars. Considering the value of these vehicles, this is very reasonable and cheap insurance against an event we all hope will never happen. Even though an EMP event ‘might’ stop the engine in your modern gasoline or diesel powered car or truck, industrial engines powering tractors, utility vehicles, irrigation pumps, and many standby generators, should be highly resistant with EMP damage easily repaired. Farmers would still be able to plant and harvest crops and we would retain a measure of individual mobility, even if with utility vehicles. As an aside, engine spares for the military are mounted inside metal clamshells, securely bolted together. In this environment, the complete engine assemblies are highly resistant to an EMP event. In summary, it would appear that tractors such as mine, and similar small utility vehicles are highly immune to the effects of EMP. Solid state battery charging regulation and diode rectification are likely the most susceptible components followed by relays and solenoids. Spares for these electrical components can be had for about a hundred dollars. I include the relays and solenoids due to the very small wire used in their coils. I strongly suspect starter relays and starting motors are highly resistant to EMP due to their high current design and thus larger wiring. So buck up, many of those entertaining EMP event – end of the world novels, are just like fishing lures, designed not so much to catch fish but to catch that buck in your billfold. Pan Handle Rancher-wow thanks. We love your little John Deere and that Kuboto. 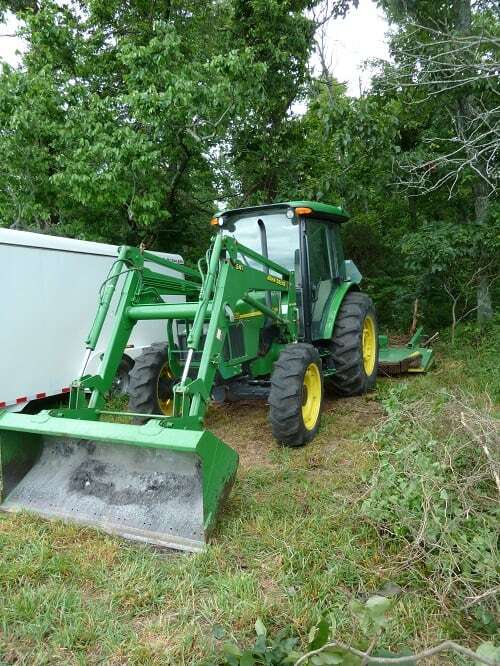 We have a Massey farm tractor but nothing runs like a Deere.I will share your inf. with my brother the mechanic of the family. Feel free to correct me if IM wrong, but its my understanding that anything not powered up electronically during an EMP would be unaffected. I was concerned about the EMP thing as the topic/threat seems to come up from time to time, so I did some research. The way the EMP fries electrical circuits is by reversing the polarity or “flow” of electricity effectively sending power to ground and vice versa. An easy but not always practical solution to this is to install one of those battery disconnects on your vehicles that you dont use every day. I have one on my motorcycle that you just turn the know, and voila, no juice to the PCM. its not a big deal to turn the knob again when I go to use it. On a car however, particularly todays newer cars, this will work, but it will also prove quite inconvenient and create a few issues. 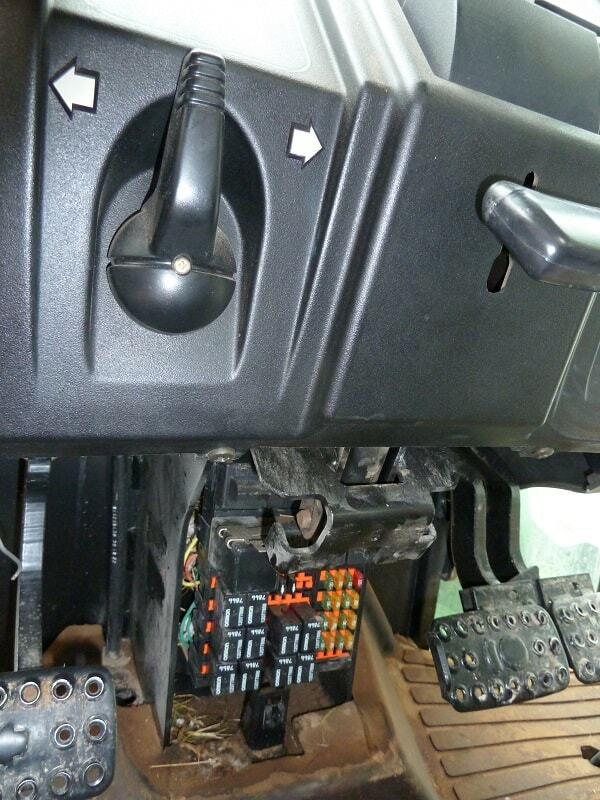 For example, every time your car loses 12V power, you lose all your radio presets. Some cars even have memory settings for seats, windows, sun roofs, lights, etc, and resetting all of these would be a PITA every day. As well, your OBD2 system would require up to 200 miles to reset itself completely every time you disconnect which could create automatic transmission shifting concerns, gas mileage problems, block learn problems, etc. But by all means, in your utility vehicles, motorcycles, quads, anything else, by all means, just add a battery disconnect, and disconnect the battery when not in use, and you wont have any issues should that unforseen EMP rear its ugly head. The constantly repetitive saying is “no one really knows for sure”. From my understanding – even if the device is powered down – or no power present – EMP can still have the damaging effect. Even installing surge protection does not work due to the speed in which the EMP pulse enters – too fast for the surge protector to work. Thank you all for your comments. EMP fields can and will damage unprotected electronics. The government’s own report is available on line. Legislation has been proposed recently to harden our AC mains long lines. I’m a bit of a luddite but things like HTs, NVGs, and powered equipment are such force multipliers that it would be a shame to do without – even more so when a little common sense could have provided protection. My powered equipment will reside in a large metal skinned barn and some of the smaller items I have protected in prepared ammunition boxes themselves reside inside metal cabinets. Each metal layer should of course be electrically isolated from the other. I didn’t mention it but I have a diesel M-Gator by John Deere whose engine operates similarly. What does metal ‘skinned’ barn mean? Thanks for the article. I’m glad to read that you ordered and stored spare parts. I’ve talked to people who assume that after TSHTF you can go to your dealer and raid them. The forget that most dealers don’t have a giant warehouse of parts on hand. The dealers keep a few common replacements, but the rest are ordered, shipped by UPS (or similar) from other suppliers.